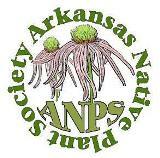 Don Mills has decided to lead the hike on Sunday morning May 1 at 10 a.m.
Meet at 10 a.m. at the store at Nail on Arkansas 16. From there, people can carpool or follow each other to the USFS site. More rain is forecast for tonight and likely tomorrow, so this way, perhaps things will have dried up a bit. Again, wear good foot wear, bring water and a lunch. This is virtual repeat of last year. We had heavy rain today and there is a 60% chance of rain tomorrow. Hike leaders will make a decision by 7am tomorrow morning on whether the hike will proceed. An update will be posted by 7am 4/30/2016 to the website event page and sent to all hike participants who registered with the leaders. This entry was posted in Field Trips, Ozark Chapter. Bookmark the permalink.